Who needs economic diversification? We’re the auto state, baby! That’s essentially the message Michigan has been sending to the world in the past decade since Detroit’s automakers roared back from their near collapse. Amplifying the message was Fiat Chrysler Automobiles’ stunning announcement in February that it intends to invest $4.5 billion to build a new assembly plant in Detroit and upgrade five other factories, creating 6,500 jobs. Few economic development projects send the hearts of mayors and governors aflutter more than new auto assembly plants. They produce thousands of good-paying, direct jobs and thousands more spinoff jobs that boost state economies. “This opportunity is unlike anything we’ve seen in decades,” Detroit Mayor Mike Duggan said about Fiat Chrysler’s proposed investment, which is contingent on approval of tax incentives and the city acquiring land for the assembly plant. Although the auto industry is no longer Michigan’s largest employer, it’s still powerful enough to lift the state’s economy and bring it to its knees, something automakers have done regularly throughout the last decades. Since the former President Obama administration saved both General Motors and Chrysler from liquidation a decade ago, the auto industry has accelerated faster than a Dodge Challenger Hellcat. Automakers and suppliers have added almost 76,000 jobs in Michigan, an 80 percent jump since the pit of the Great Recession in 2009. The value of cars, trucks and parts produced in Michigan has more than doubled, from $15.5 billion in 2009 to $39.7 billion in 2016, the latest figure available. But the industry today faces complex challenges unlike anything it’s ever seen. 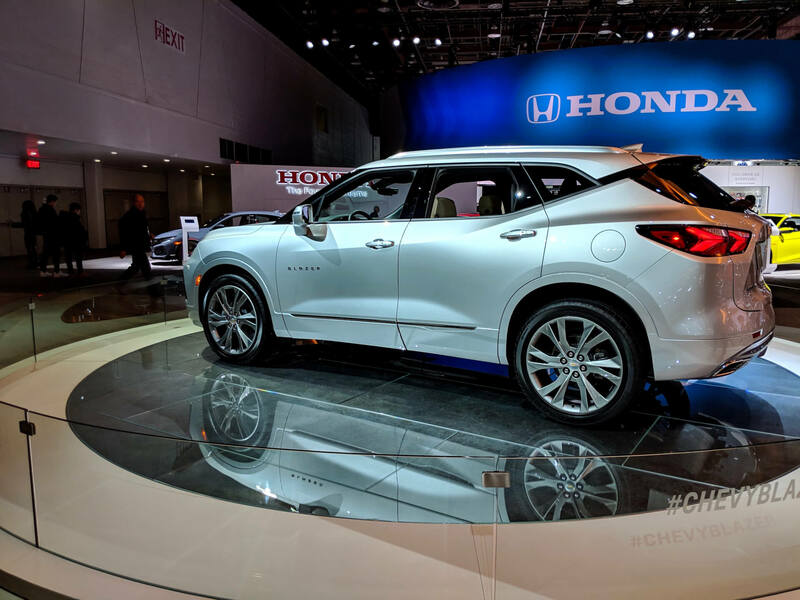 Automakers are scrambling to balance the costs of producing the cars and trucks consumers want now with the billions of dollars necessary to develop the cleaner electric and self-driving vehicles they’ve promised in the not-so-distant future. Michigan’s automakers face stiff competition from Silicon Valley software developers in winning the race to produce the high-value components that will power self-driving cars. And a recent eye-opening “60 Minutes” segment on how China is trying to dominate the electric vehicle market likely sent shivers down the spines of Michigan economic policymakers. Computer chip maker Intel has predicted that the market for self-driving cars and related services will grow to $7 trillion— yep, with a “T” — by 2050. No wonder we’re so auto-obsessed in Michigan. Detroit’s automakers are so far leading the race to an autonomous vehicle future. A new study by Navigant Research found that GM, Ford and Google spinoff Waymo are currently the best positioned to develop self-driving cars into a profitable business. Waymo uses Chrysler Pacifica minivans to test its autonomous vehicles. In January, the Michigan Economic Development Corp. gave Waymo an $8 million grant to help it build a facility in metro Detroit where it can retrofit the vans. But rapid, disruptive change in the auto industry could be bad news for workers. Ford and GM already are shedding thousands of salaried and hourly jobs, citing the need to redirect billions of dollars in spending to future technologies. GM also is closing three assembly plants, including Detroit-Hamtramck Assembly, to reduce passenger car capacity as buyers embrace trucks. At its bargaining convention in Detroit this month, the United Auto Workers said 35,000 hourly jobs at the engine and transmission plants of Detroit automakers and suppliers are at risk because those components aren’t used in electric vehicles. Many more manufacturing and engineering jobs could be lost if electric vehicles take off because they have a fraction of the number of parts found in a gas-powered vehicle — about 20 moving parts compared to 2,000 in a gas-fueled car. And while auto manufacturing jobs still pay well, they are becoming far less lucrative as automakers and suppliers work to keep a lid on wages in a global, highly competitive business. Wages for U.S. auto manufacturing hourly workers have increased just 6 percent over the past 16 years, from $28.49 an hour in 2002 to $30.20 in 2018. Adjusted for inflation, those wages actually have fallen 23.5 percent in that period, according to the Center for Automotive Research in Ann Arbor. And what if electric vehicles, which are a tiny portion of the total vehicle market, fail to catch on with future buyers? What if self-driving cars are decades, not years, away? Those prospects could be catastrophic for automakers making big bets on those technologies. They’re not getting much help from the President Trump administration, which promotes policies seemingly designed to ensure the future of the internal combustion engine. Trump’s 2020 budget proposal eliminates the $7,500 tax credit for electric car buyers. It also ends a loan program enacted during former President George W. Bush’s administration to help automakers and suppliers develop advanced vehicle technologies. Gov. Gretchen Whitmer will undoubtedly continue the state’s strong support for the auto industry. It’s too important to let go. But she’s also smart in proposing a new budget that makes long-overdue investments in infrastructure, education and communities that will benefit workers and businesses. Having good roads, clean water, more educated workers and more attractive cities are key ingredients in developing a more diverse — and wealthier — economy.